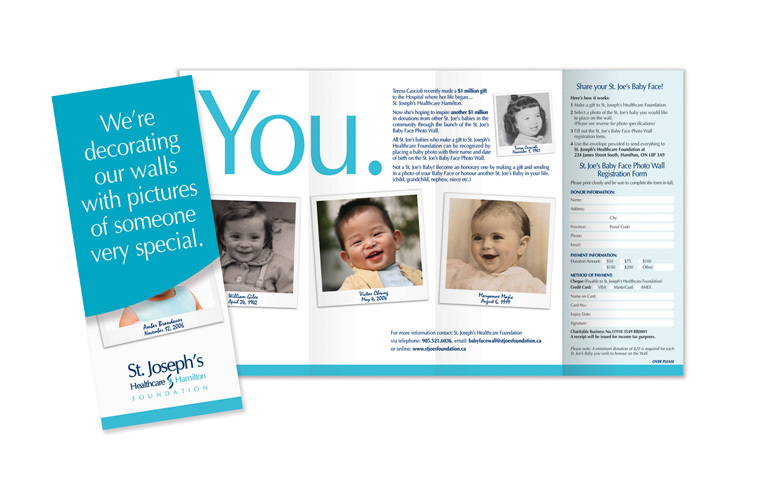 Philanthropist, Teresa Cascioli, approached St. Joseph’s Healthcare Foundation with a $1million donation and a vision. The vision was to create a network of St. Joe's babies and grateful patients whom she hoped would follow her example by giving back. 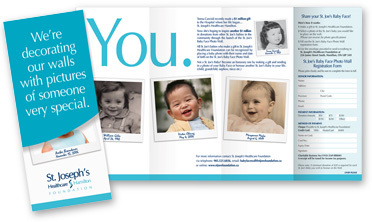 The campaign included a direct mail program that was sent to thousands households in the Greater Hamilton area. The direct mailer included a donation form. The direct mailer also doubled as a Take One which appeared in close proximity to the Baby Wall. at the launch of the campaign. 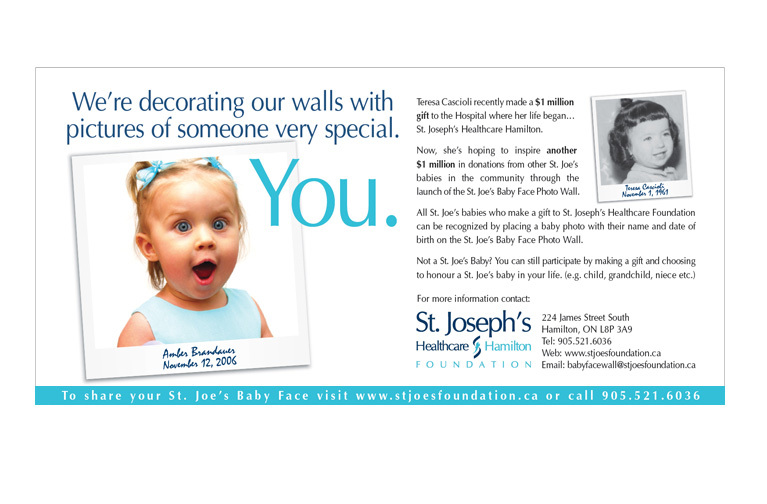 St. Joe’s Baby Face Photo Wall.